There’s something to be said for a culture that gives breakfast cereals an entire aisle all to themselves in any supermarket you visit. You can hardly make up your mind which one to buy; what with all the colorful cartons, come-ons, and marketing that goes into each one. For many, breakfast cereals are a staple of everyday life. While most look to be little more than some combination of grains, there’s a lot more to them than meets the eye. Added sugar, for one thing. And increased carbohydrates, for another. Not to mention artificial colors, added salt, and other chemicals. These extra ingredients may be unhealthy for some, and for those with food sensitivities they can trigger illness. Companies that produce cereal products know that their audience does not have the time or inclination to research additives. Which translates into the majority of consumers being not well-informed about any foods they are eating. Those fruity loops and marshmallow delicious cereals have serious health issues tied to them. First among them is weight gain. We have an epidemic of obesity in this country, much of it caused from excessive consumption of sugary foods. Cereal is loaded with sugar. Have a look at the ingredients in the ‘all natural’ granolas, and you’ll see that most contain around 25 grams of sugar per serving. Just because you see oats and corn on your cereal box, don’t think that’s what you’re getting by the time the ingredients themselves have all been processed. Often what’s left is little more than sugar and starch. Not good. 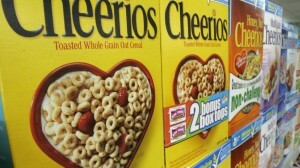 Again, cereals are proven to be little more than boxes filled with high fructose corn syrup. Now, a little here and there will not cause a big problem; but cereal is usually not eaten a little at a time. Sometimes, it’s used for meals other than breakfast, too. So, why consume all that sugar? Think there are no alternatives? Well there are. 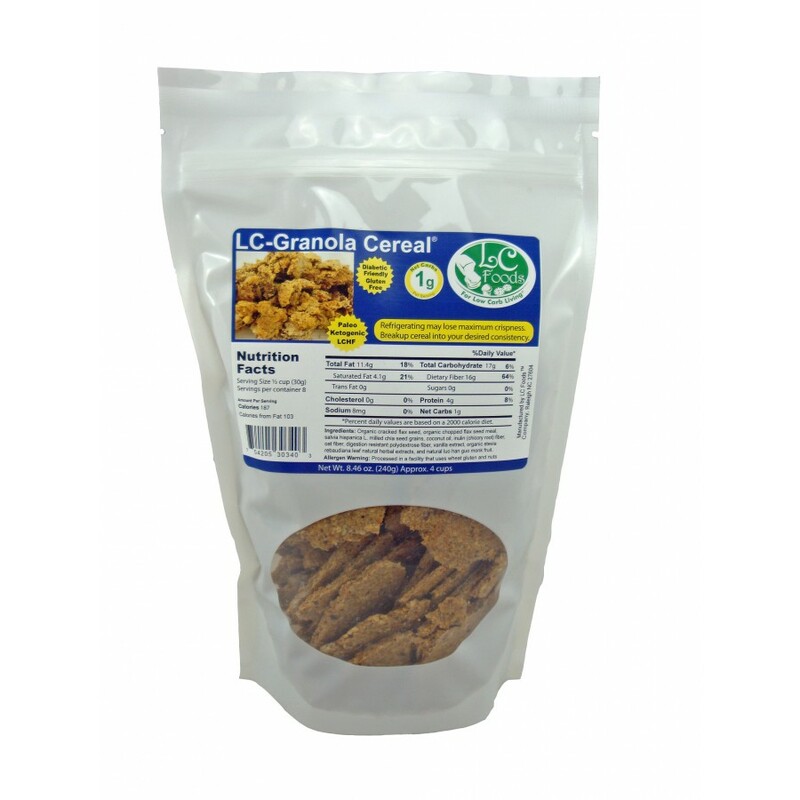 At LC Foods we offer you a wide variety of low-carb granola cereals. All of them are made from only the freshest seeds, grains, coconut oil, fibers, stevia, vanilla extract and other natural ingredients. 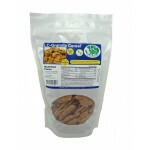 Our most popular granola at LC Foods is our fresh baked granola. Best of all, it’s shipped to you the same day it’s baked, so you’re assured of the most delicious cereal you’ve ever tasted! Whatever you’re looking for, toasted almond, coconut, pumpkin seed, chocolate chip, berries and more, we have them for you at LC Foods. No sugar cereals here!